The almost painfully candid attitude of our unnamed narrator is both refreshing and unsettling. As she sets about the task of cluing we, the unsuspecting readers in to the rather dubious reason behind her now excruciating case of 'carpal tunnel syndrome'. The self declared maven of the 'happy ending hand-job' then goes on to explain that her painful, albeit richly deserved title, and the job from whence it has been earned, is on the lighter of the reprehensibility scale. It seems that she has been trained from the cradle to defraud. Rich, bored, and clearly distressed. Susan Burke is nothing, if not the perfect mark. So our girl jumps at the chance to follow dear Susan home. So that she might intuit...ahem...the source of Susan's troubles. This is a short story that will leave you impressed, but curious as to what exactly it is that you are impressed about. You are never quite sure what is going on, with or between Susan and her stepson Miles. Is he a psychopath of the first order? What really happened to dear old Dad? Is there something else going on in the house? These are all questions that this short jaunt into creepyville will leave readers to ponder. 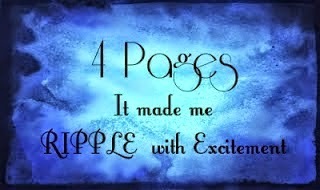 Hence, the reason that this read rates 4 stars instead of 5. Where oh where can my conclusion have gone. Because it sure as hell is NOT in this book. 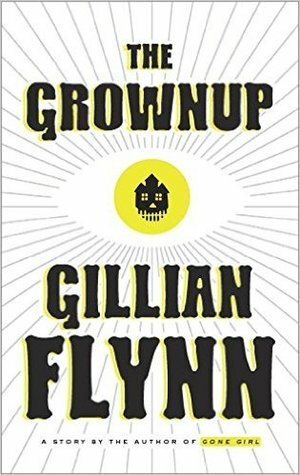 I would call The Grownup much more of a teaser, than a short story. It is just a taste of who Gillian Flynn is as a writer. A sweet taste, but only that...just the same. Passion Burns Hot And True In "Highland Heat"